More than 40 million Books are available on Amazon.com. 100,000 new titles are added to the Kindle Store every month. How will you ensure your books stand out to readers in a market with millions of choices? 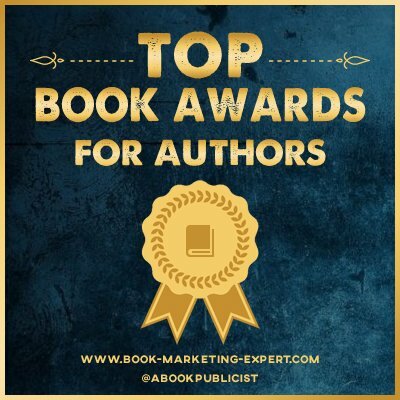 The best way to move your book ahead of others in your genre(s) is to win an award contest. The Independent Author Network presents the 2019 IAN Book of the Year Awards, an international contest open to all authors with 36 fiction and non-fiction categories. Winners are eligible to receive a share of cash prizes exceeding $6,000 USD. An Outstanding Book (category winner) will be awarded in each category with recognition of Finalists. Six outstanding titles will be named the 2019 Books of the Year. >Winning books will be shared at the IAN Facebook page with over 120,000 fans. >Winning books will be shared with our 575,000 followers at twitter. The IAN Book of the Year Awards is open to all English language print and eBooks available for sale, including small presses, mid-size independent publishers, university presses, and self-published authors. We do not have a publication/copyright date requirement or word count restriction. Authors retain all rights. International entries will be accepted as long as the work is in English. >Entrants are not required to forfeit rights to their work. Our judges are experienced reviewers, authors, publishers, and editors. Awards are based upon various criteria and the judges’ decisions are final. Judges do not return written“reviews” for entered books. Vibrant covers, attention-grabbing openings, memorable characters, crisp dialogue, captivating and original plots, and climactic, memorable endings. A descriptive and inviting title with organized, well-researched material on a subject that is timely and/or timeless, unique, or presented in a unique way that appeals to a wide audience. Submissions will be accepted from October 1, 2018 to August 5, 2019﻿. There is no limit to the number of titles you can enter in the 2019 IAN Book of the Year Awards. Enteries completed (payments received) after August 5, 2019 will be entered in our 2020 contest. ~The Winners and Finalists will be contacted and announced on October 13, 2019. ~Only Winners and Finalists will be contacted by email. The Finalists, Category Winners, and Book of the Year winners will all be announced in Press Releases after their announcement day. Only Winners and Finalists will be contacted by email. Cash prizes will be delivered via PayPal. First Book provides new books to children in need, addressing one of the most important factors affecting literacy – access to books. An innovative leader in social enterprise, First Book has distributed more than 125 million free and low cost books in thousands of communities. First Book now has offices in the U.S. and Canada. See more at: FirstBook.org.